Iconic vocalist Wade Black and virtuoso guitarist Rick Renstrom have combined forces again to resume what may be one of the best song writing partnerships in metal history! Beginning in 2012, the two metal veterans, along with new recruits Rich Marks and Jasin Marxx, will unleash their ground-shaking metal onslaught, War of Throne! 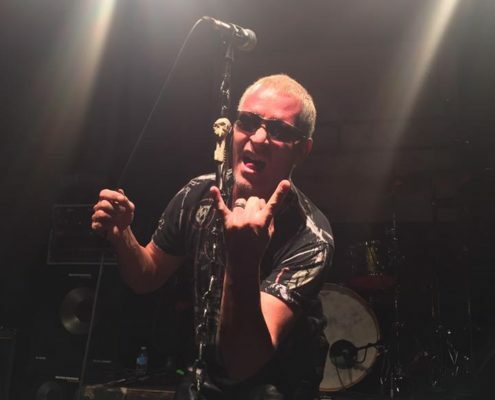 Rick entered the scene in 2000, joining legendary vocalist Rob Rock’s touring and recording band. Having toured around the world, hundreds of thousands have witnessed Rick’s incredible and inspiring guitar playing. To watch Rick play is to know that some individuals are born for a specific purpose, and that that purpose will not be denied! Rick released his searing solo album “Until the Bitter End” in 2003, and went on to be one of the most highly sought-after guest guitarists in metal. His signature style can be found on the albums by some of the biggest names in metal. Joining Wade and Rick is bass player Rich Marks. Delivering a booming low end combined with virtuosic moving lines and massive technical ability, Rich’s style not only adds incredible tone to the songs, but also whips the material into an amazing whirlwind of power. Although relatively unknown to the masses, Rich will quickly be regarded as one of the best new players in the industry. The band has already amassed a mighty arsenal of metal songs to feature on their forthcoming debut album, Conflict and Creation. 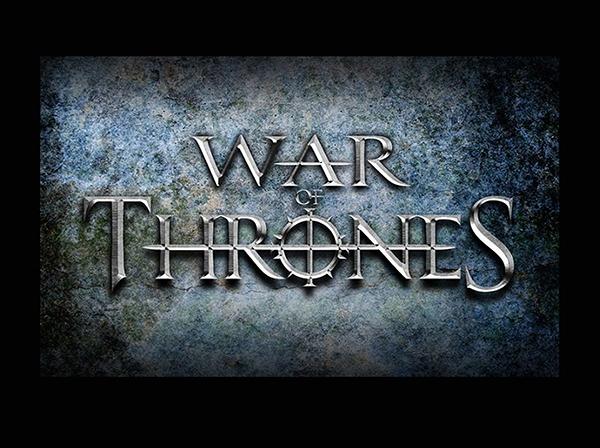 War of Thrones is ready to bring the Metal in a new and exciting way, prepared for any battle!